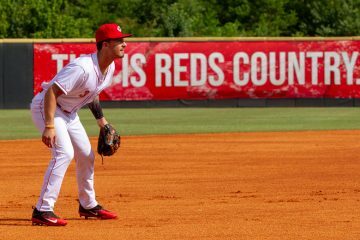 The Cincinnati Reds have added six players to the 40-man roster. The Reds added three pitchers and three hitters. 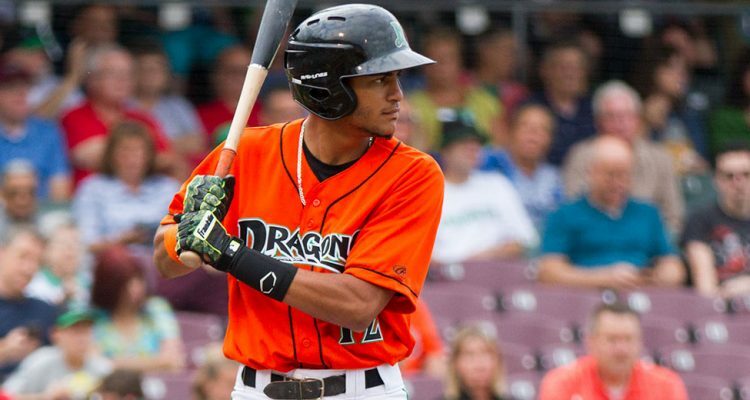 Infielders Alex Blandino and Shed Long, along with outfielder Jose Siri were added. They team also added right handed pitchers Jesus Reyes, Jose Lopez and Zack Weiss. These players will not be eligible for the upcoming Rule 5 Draft. The draft will take place on December 14th at 9am. 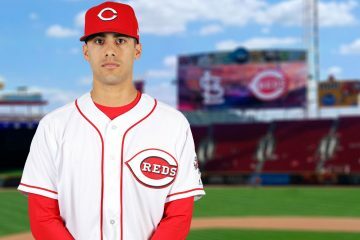 The Reds will have one spot open to select a player in the draft, assuming they make no further moves that alter the 40-man roster between now and then. Among the group of position players, Alex Blandino is probably the closest to helping out. He spent a majority of his 2017 in Triple-A. 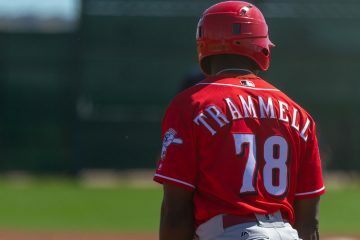 He hit .270/.390/.444 with 32 walks and 37 strikeouts for the Louisville Bats. Blandino also has plenty of positional flexibility. He has experience at shortstop, second base, and third base throughout his career. Shed Long split his year between Daytona and Pensacola. Offensively he performed better with the Tortugas. In Daytona he hit .312/.380/.543 in the pitcher friendly Florida State League. A slow start with the Blue Wahoos was compounded when he missed a month with an injury. Long returned at the end of the season and hit well, but his slow start was too much to overcome by the strong finish. Between the two stops the second baseman hit .281/.358/.477 with 22 doubles, three triples and 16 home runs in 104 games. Jose Siri is the furthest player away from joining the Reds of everyone they protected today. He has only played in Low-A ball. With that said, he’s got explosive tools across the board and is arguably the toolsiest player in the entire organization, including the Major Leagues. With Dayton this season, the center fielder hit .293/.341/.530 with 24 doubles, 11 triples, 24 home runs and 46 stolen bases. The pitching additions begin with starter Jose Lopez. 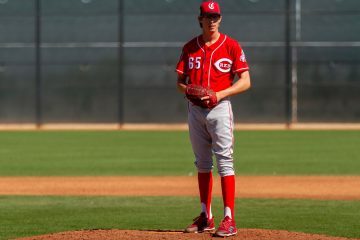 In most years he would be a lock for the Reds Minor League Pitcher of the Year Award thanks to his 2.57 ERA in 147.0 innings between Daytona and Pensacola. The 23-year-old right hander had 49 walks and 143 strikeouts in that span, and performed better in Double-A than he did in Advanced-A. Right hander Jesus Reyes also split his time in 2017 between Daytona and Pensacola, though he saw more time in the Florida State League with the Tortugas than with the Blue Wahoos. Between his two stops he posted a 3.60 ERA in 137.1 innings. That came with 47 walks and 111 strikeouts. It also came with a big time groundball rate during the season. The Reds also added right hander Zack Weiss to the 40-man roster. The reliever missed all of 2016 and most of the first half of 2017. He returned in early June and would make a rather short stay with Daytona before heading to Pensacola. Between the two stops he posted a 2.63 ERA in 41.0 innings with 13 walks and 56 strikeouts. Of those exposed who do the Reds stand the best chance of losing? What makes a player eligible for the AAA Rule 5? Beyond the 40-man roster, the team also protects another 38 players. If someone is not on that list, they are eligible. We, the public, do not get to see that list, though. 1open spot to look for a SS to back up Peraza. Is that Blandino? Reds desperately need a starter. Pitching cost Votto the MVP. If he’s on a .500 team the vote goes his way easily. Wonder if CIN will lose Gavin LaValley in the Rule V Draft? As much as I like Gavin LaValley I don’t see a team taking a 1b with unremarkable numbers in AA. I feel like the guys selected are either move proven as hitters or more versatile and/or higher on the defensive spectrum than 1b. First the Reds must think pretty highly of Siri by adding him. Next with Weiss, definitely think he will be in Cincinnati this year. Bellhead: good point. Rule V would mean a team would have to take Siri from A ball and take him to the majors. A huge jump. Maybe they caught wind at recent meetings of this possibility? There was no wind – it was an easy, easy decision. He would be taken, maybe even taken 1st overall. You could easily hide him on the roster as he could be a plus defender and pinch runner immediately for you. And in the right match ups, his bat could be useful. Then you send him to Double-A in 2019 and try to keep him developing. You get a huge upside player for next to nothing. There was never a chance he was going unprotected. Of all things, Doug, why does the Rule V vs Rule 5 mix-up get you so bent out of shape? Because I’m a crazy person. The Rule V is not a thing. It’s referencing something that doesn’t exist. This is 2017, you’re antiquated anti-roman numeral bias won’t be tolerated any more Doug. There’s a reason the Romans eventually lost, Duke. I’m just saying. The Yankees were busy today maneuvering around players that enabled them to protect SS/2B Thairo Estrada and OF Billy McKinney. Cards got to protect LHP Austin Gomber. I had hoped one of those 3 would have been available and had the Reds interest. Dec. 14th is a ways off. That open roster spot may be room for a free agent signing before then. Come June, that 40th spot will read Nick Senzel. Come June, there will likely be guys on the DL to use their 40 man spot. Senzel will also have to have a position to play. Doug, on Jose Lopez. With his success in AA this past year. With success in AAA in 2018, do you see him getting some starts? His WHIP, BB/9, and pure stuff all seem to play. I feel he’s an interesting prospect who could be solid. Depends on how the other guys are doing. He’s certainly behind about 8, at least, heading into spring training. If everyone ahead of him pitches well, no, he’s not getting starts. If they don’t, or can’t stay healthy, and he does more of what he did this year, yeah, he’ll get a chance. Any thoughts on taking a flyer for Mark Appel? Worth a shot? Are you expecting us to be able to grab a higher upside player than Appel in the Rule 5? Honestly, I would snatched Appel up and have him work with whoever straightened Deck out last year. The potential is still there, even at 26……. Appel has always had fantastic stuff. He has a fastball that sits in the mid-90s, he throws a wipeout slider, and he has a plus change up. If he can even reach close to his ceiling I think he could be a legit mid rotation guy for us. 5 ERA in the minors. He has walked almost 4 people per 9 innings for his career(4.8 in AAA). Also has let up more hits then innings pitched and doesn’t strike out people at a high rate. Hit 6 people in 19 games last year. Not everyone who was drafted high works out. Only about 50% of first round picks ever play an inning in MLB. Heck, I liked Micah Franklin better than all these guys.